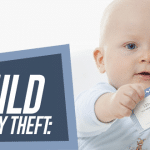 If you have ever been a victim of identity theft, or wondered how identity thieves are caught, a little information about a concept called the red flags rule might be just what you need. Generally speaking, the red flags rule is a guideline implemented by the Federal Trade Commission (FTC). It helps businesses identify identity theft, and gives the business a template to follow in most cases. Under the FTC’s red flag program, businesses are given guidelines that will allow them to effectively deal with the problem of identity theft. Implement red flags in programs that make employees aware of actions that might constitute an attempt at identity theft. This might, for example, include a requirement that those who attempt to use a credit card to make a purchase are also required to provide a photo identification to verify their identity. 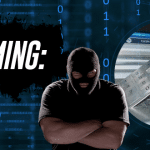 Further, employees may be asked to look for certain characteristics of identity cards that have been tampered with in an attempt to support illegal use of cards and other means of payment. After a business has created a policy to identify red flags, that business must implement procedures for employees to follow to detect fake, forged, and altered documents. The program must spell out what the actions of employees will be once they discover a red flag during the course of business operations. The program must implement a method of looking for new threats to identity theft as they occur. It’s important for everyone who’s involved in identity theft prevention to understand that there’s more to preventing the theft of information than catching it when it occurs. Instead, there should be a concerted effort to prevent important information from falling into the hands of thieves. This involves steps such as ensuring that credit card information obtained is kept secure and out of the hands of those who might take advantage of the data. Fortunately, the FTC provides considerable amounts of information that’s relevant to catching identity thieves as outlined in the red flag rules. By ensuring that employees are aware of these issues, you are doing your part to stop a worldwide problem. Learn about the Red Flags Rule and how it can affect you and your family. Get valuable information and resources now. I noticed that when this law went into effect, a lot of the horrific stories you would hear about identity theft went away. Before identity theft was a recognized crime, the banks and credit card companies just wouldn’t believe the victims. People suffered enormously because the institutions could not grasp the idea that hackers could use victims’ identities to commit fraud. I find it really gratifying that the credit card companies and banks are being much more diligent and proactive now, thanks to this law.